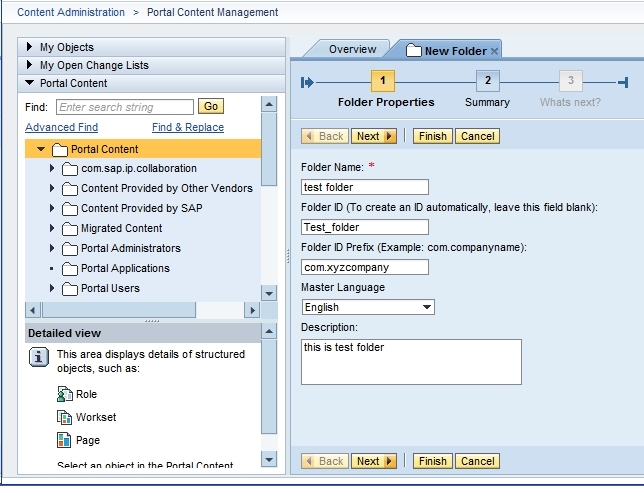 This post discusses about, How to create a Folder in PCD of SAP EP Portal. 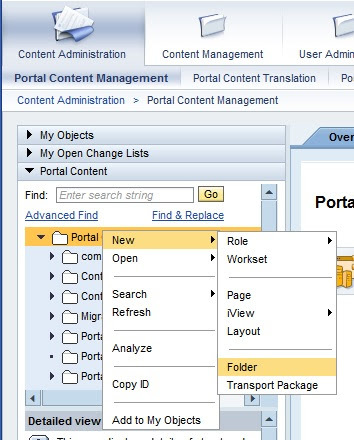 Go to > Content Administration > Portal Content Management > Portal Content . Right click on Portal Content Folder. Provide the required details and click on next. ID: ID of the folder, ID will be unique. ( Spaces or not accepted here, Mostly '_' (Underscore) is used to differentiate two words ). Description: give some description about the folder. Your folder will be created and a what's next wizard will be open for that folder as shown below. 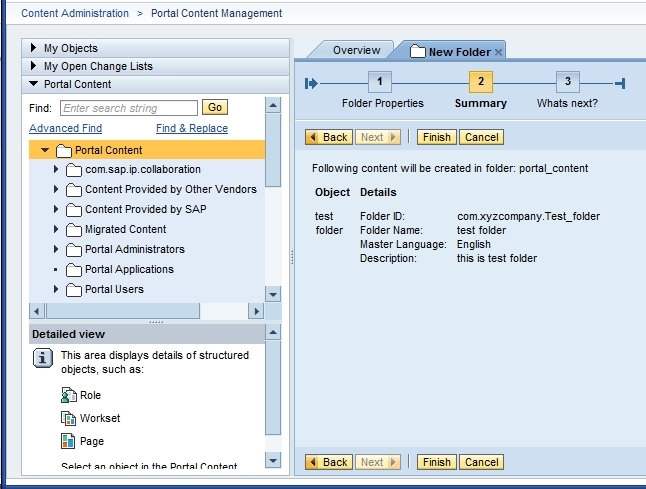 That is it, Now came to know how to create a folder in Portal Content of SAP EP.